Welcome back to the work week! I am cruising in feeling a little more relaxed and a lot less tense. The tension that had become my whole body was really starting to take over my life. I felt stiff and had a headache pretty regularly. 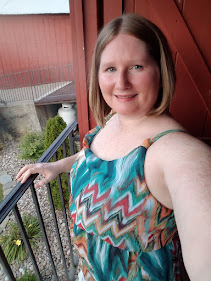 Between getting back to regular workouts, work overload, and the beginning stages of planning a wedding, I have been pretty beat. Enter Rasa Spa, a full service holistic Healthcare spa in Ithaca, NY. 2 weeks ago I won their first ever Instagram giveaway which was giving away a 30 minute massage. I was super excited go get the message that I had won! I booked my appointment adding on another half hour to make a full hour. It was one of the best decisions I could have made. 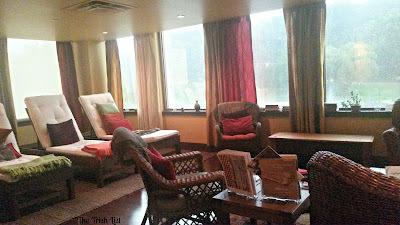 *Sorry for the grainy photos.. only had my cellphone and didn't want to distract anyone in this relaxation room! The whole experience was amazing. The locker room was very inviting with a sauna room, showers and plenty of bathroom necessities like hair brushes and hair dryers. I got dressed into my soft robe and headed to the tranquility room; a quiet room with super comfy lounging chairs and soft blankets to wrap up in. 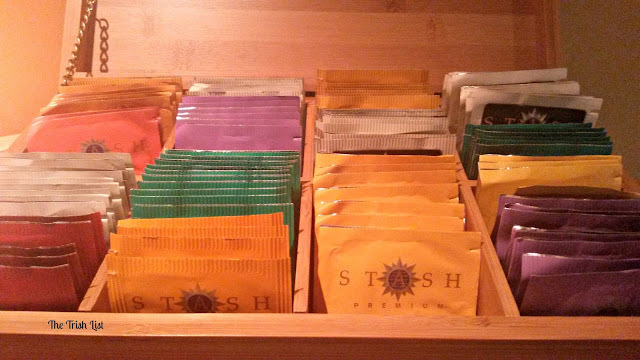 With a quick glance I also noticed a tea and water bar. I barely had time to notice it before I was being lead into my treatment room by a lovely lady named Edith. I spent a total of 2 hours with Rasa Spa but really felt like so much happened. I felt more relaxed and energized for the weekend ahead of me. It was a few hours for myself that I didn't know I needed. It was a treat to myself for all of the work I've put into other people and projects over the past year. 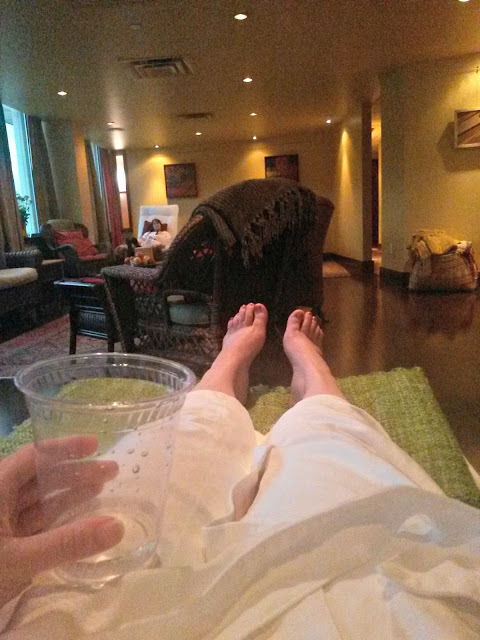 Thank you Rasa Spa for bringing me back to center. When's the last time you gave yourself a treat?